Few steps are required to create moving Characters. First of all, you will need to create a Terrain Locator with a Navmesh. 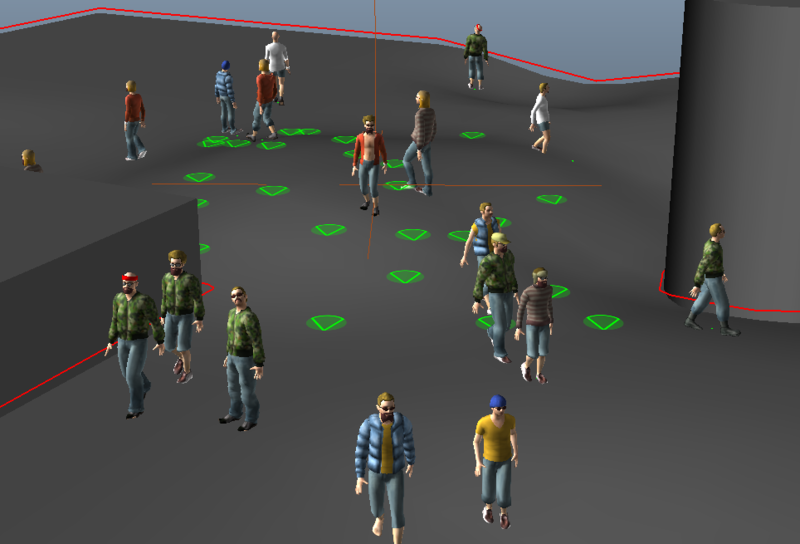 The Navmesh will allow Characters to navigate in the environment avoiding obstacles. - Select the environment and open the Navmesh Creator to automatically generate a Terrain Locator with a related Navmesh. 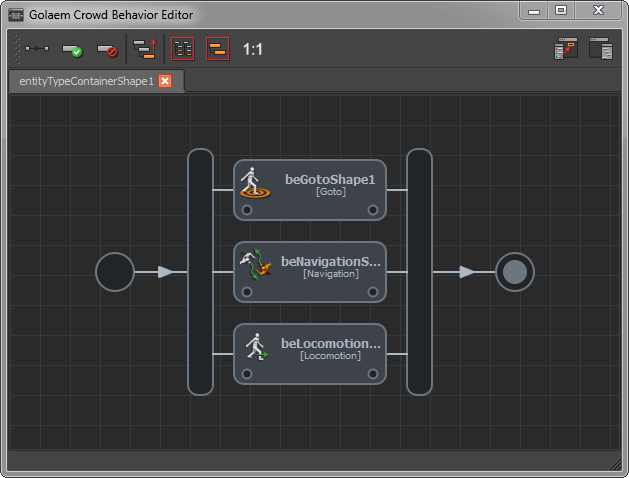 After setting up an EntityType (see Quick Start) and placing particles according to the Navmesh with the Population Tool, open the Behavior Editor and the previously created EntityType. Then add a Navigation Behavior, a Go To Behavior and a Locomotion Behavior with a set of animations in a Parallel Operator to create moving Characters.